MORE Philippine companies have signed an integrity pledge seeking to prevent corruption and improve business climate in the country. This was bared in a forum by Jorge Gonzalez, a project director of the Asian Institute of Management’s (AIM) Ramon V. del Rosario, Sr.­—C.V. Starr Center for Corporate Governance. As of November 18, at least 858 firms have signed the integrity pledge, he said. Gonzalez said under the integrity pledge, companies—large, medium and small—are committed to prohibit bribery, maintain a code of conduct and apply appropriate internal systems and controls. The integrity pledge was developed in line with the national campaign to fight corruption. This is part of a project to promote integrity and accountability in business under the Hills Program on Governance of the AIM, in collaboration with the Makati Business Club, the Management Association of the Philippines, the European Chamber of Commerce of the Philippines, and the American Chamber of Commerce of the Philippines. 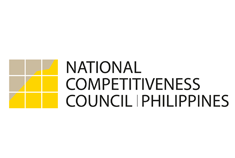 Citing the recent findings of the Global Competitiveness Report 2011-12, Gonzalez said corruption is among the top most problematic factors for doing business in the Philippines. He said a 2009 survey conducted by the Social Weather Stations also indicated that about 20 percent of all businesses in the public and private sectors gave bribes to win public and private-sector contracts. “These seem to show that there is environment of bribery and corruption in the country and that is why the program on governance decided to launch this anti-corruption campaign. Corruption is really impeding the growth of businesses in the Philippines,” he noted. According to an anti-corruption manual for small and medium enterprises (SMEs), a key to avoiding corruption in business is to implement an effective anti-corruption program. Such program entails companies to implement a policy prohibiting bribery in any form and that on gifts and entertainment, require that conflicts of interest be declared, create a code of conduct, train all employees on the anti-corruption program and develop systems and controls. “An effective program enables a business to detect and prevent corruption and other unethical conduct within the organization, as well as in transactions with other entities,” it noted. SMEs within a certain industry or geographical area can also band together to address a particular corruption problem or to pursue long-term strategies for countering corruption. The same manual discussed immense benefits that can be gained by an SME in not engaging in corruption. “It will significantly reduce the cost of doing business, allowing money that would have gone to bribes to be used to expand the business. Moreover, an SME with a good reputation for ethical business practices will have a competitive advantage by becoming the preferred choice of customers,” it noted. Moreover, SMEs conducting their businesses ethically create a level playing field. “A level playing field, in turn, would attract more local and foreign investments in the Philippines. Thus, by operating ethically, SMEs not only benefit their bottom lines, but also contribute to the country’s economic development,” it further said.